Robert Norrish Carpets and flooring Ltd is a willand based company built with reputation for quality workmanship and excellent customer service covering the Devon area. We specialise in supplying and fitting carpets, cushion vinyls,laminate,woods,LVT from the leading manufactures including Abbingdon, Condor, Kingsmead, quickstep, Egger, Tarkett, Furbo, polyfloor, karndean and many more for both domestic and commercial installations. We offer a free measuring,advise, and quotation service, Samples are brought to the comfort of your own property at a time convenient to yourself where we provide you with a no obligation quotation. Your will find our prices cheaper than the high street and receive a personal touch. 100% Wool carpet fitted by recommendation from Axminster Carpets. 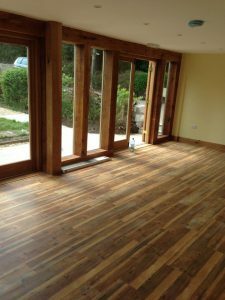 “Rob recently fitted flooring and carpet throughout our house, following a full refurbishment of the property. The flooring has transformed every room! Rob was professional and gave a very prompt service – it was great for a tradesman to be on time and be so reliable. The service was excellent and nothing was too much trouble. The knowledge and advice given to us on suitable floor coverings was invaluable. I would definitely recommend to anyone looking for a great quality finish”. Having now used Robert Norrish Carpets & Flooring Ltd twice I have to say how pleased I am with the professional and prompt service. Nothing seems to be to much trouble and the fact that Rob fitted me in with only 2 days notice is admirable, especially as I had picked the carpet months ago and kept him on hold due to decorating. Thank you and I will always recommend you to family and friends. Robert Norrish Carpets and Flooring Ltd has been built upon reputation since 2005. Supplying the highest quality floors at the best possible prices.